Plant based iodine from the pure, clean oceans off the coast of Iceland provides execellent thyroid health support. 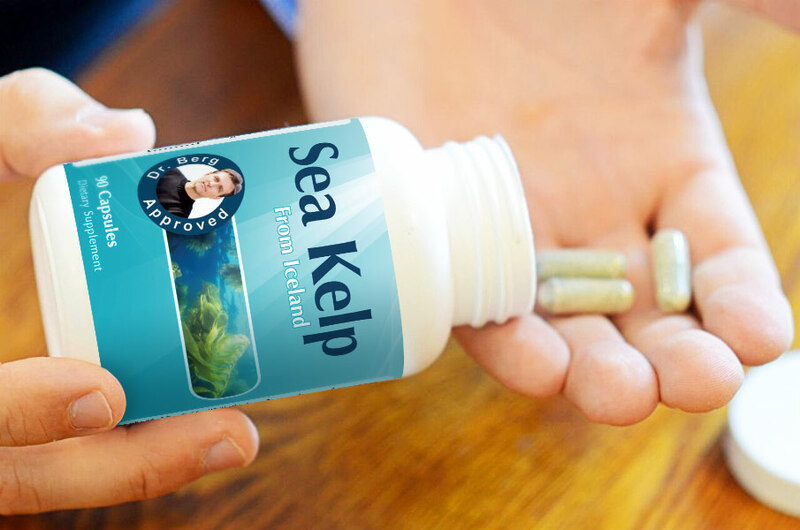 Trace minerals from sea kelp - a sea vegetable that delivers important minerals in the right composition that the body needs and are 100% absorbed unlike salt-based minerals which are only 5% absorbed. Support healthy female hormone levels that are disrupted by iodine deficiency - promote healthy ovaries, breast tissues and a normal menstrual cycle with trace minerals and iodine. 30 day (1 month) supply. That’s only 27 cents per capsule. If you get autoship (monthly shipped), it’s only 22 cents per capsule. Iodine is an important trace mineral. It promotes a healthy metabolism, brain, cell, reproduction, blood sugar, toxin removal and more. But because of modern farming methods, our soil have become depleted and foods no longer have as much iodine. Also stress, toxins and estrogen levels from things like pregnancy. the birth control pill and more can cause an iodine deficiency. Trace minerals and iodine increase energy levels! Sourced from very clean, non-polluted pristine oceans off the coast of iceland. Excellent source of iodine for the thyroid gland. Sea kelp contains selenium, born and many other trace minerals found in the sea that are typically missing from your diet. Supports healthy levels of female hormones for your ovaries, breast tissue and menstrual cycle. Sea Kelp is one of the richest sources of nutrients for your organs, glands and tissues. No pesticides or harmful added chemicals. 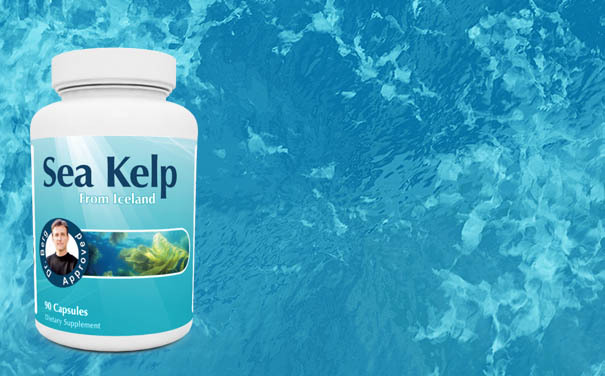 Our sea kelp is Icelandic from a pristine location Iceland. Sea Kelp is a sea vegetable and is loaded with plant based minerals, proteins and a great way to get your iodine, which is missing from most diets. Sea Kelp is a great way to support a healthy thyroid and ovary. It can be used to help the menstrual cycle as well. These days, where you get your sea kelp from matters A LOT. Since the Japan nuclear disaster, radioactivity levels increased drastically in the ocean waters surrounding Japan. Since the ocean water doesn’t remain local but instead travels, this means that there’s a potential for the Pacific Ocean to be radioactive. Sea kelp is good for eliminating radioactivity, and thus could potentially be a source of it. However, when the sea kelp you use is taken from an ocean that has not been contaminated, you get the benefits of sea kelp in every way.Dr. Berg’s Sea Kelp is sourced from the extremely clean, non-polluted pristine ocean waters off the coast of Iceland, free from the radioactivity of Japan’s polluted waters. 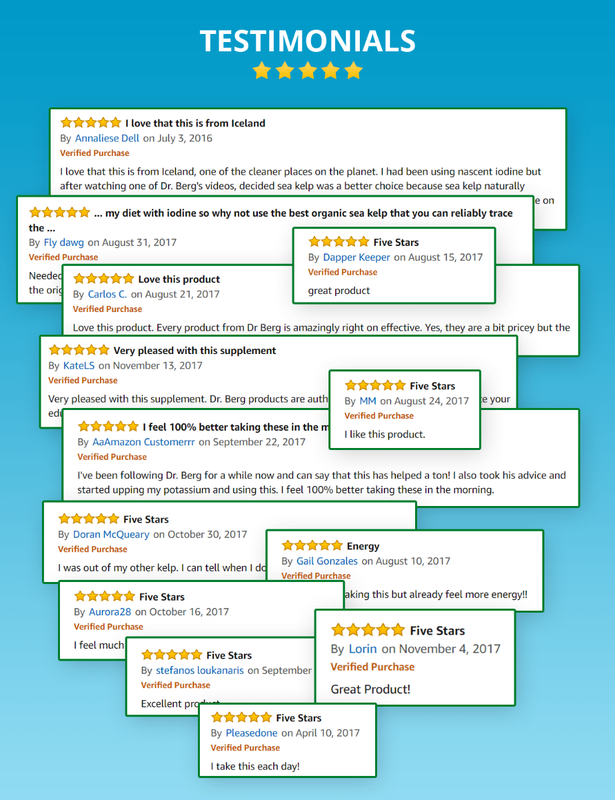 There are no harmful added chemicals or pesticides found in our kelp.